Thankfully after some trial and error, I’ve nailed down amounts for each of the ingredients and more specific cooking instructions. At family gatherings this sauce would be served as a side, just like applesauce and that is my favorite way to eat it. However, the internet told me that people like to serve rhubarb sauce over ice cream or pound cake. I’ve now tried it over ice cream and it is delicious. 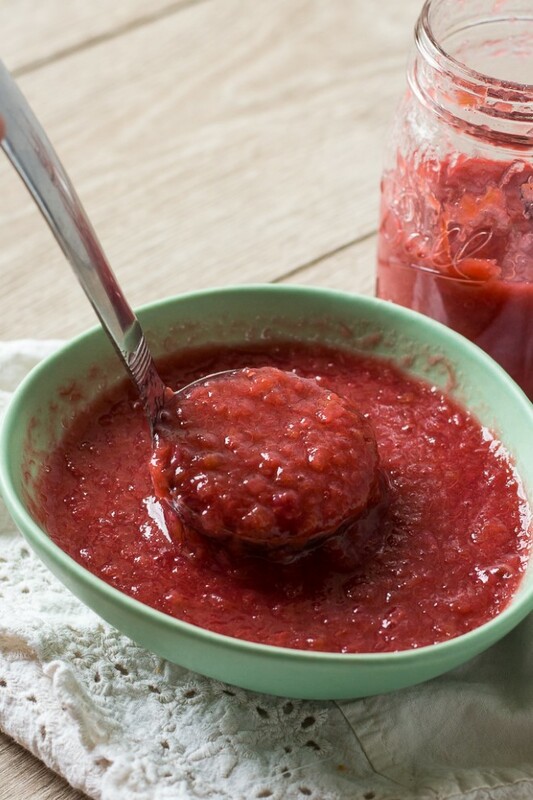 You can make this sauce with either fresh or frozen rhubarb. If you’re using frozen rhubarb, you will need to plan ahead and let it thaw completely. Drain the excess liquid, but don’t squeeze any out the rhubarb. I let mine thaw in a strainer over a bowl. Place the rhubarb, water and sugar in a saucepan over medium heat. Bring to a boil and simmer for about 5 minutes until the rhubarb is tender. Remove from the heat and stir in a package of Strawberry Jello. Let cool. The amount of water in the recipe makes a sauce that is the consistency of applesauce when cool. It will seem runny at first, but the Jello will thicken it as it cools, especially after it is chilled in the refrigerator. Feel free to adjust the amount of water in the recipe to thicken it to your tastes. The amount of sugar is adjustable too based on your tastes. This is a sweet sauce, thanks to the strawberry jello. 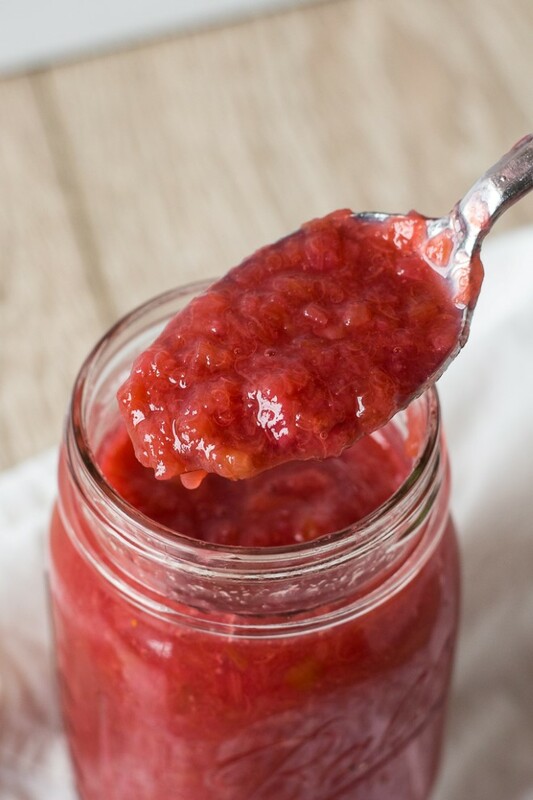 Store your rhubarb sauce in the fridge for up to a week or freeze for longer storage. My favorite way to eat it is with a spoon, just like you would eat applesauce. Other’s like to put it over ice cream or pound cake. 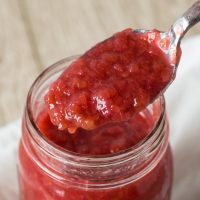 In my research on rhubarb sauce, I came across quite a few recipes that use rhubarb sauce as a glaze for meat. 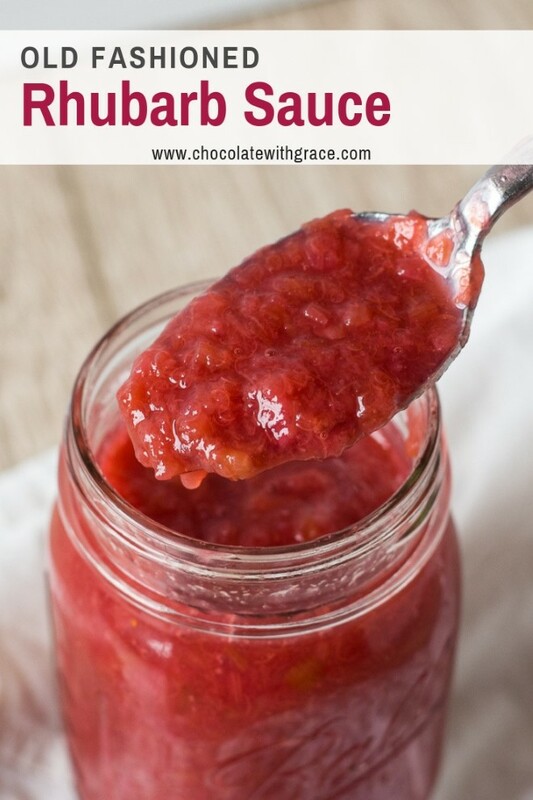 I’ve only had rhubarb in sweet desserts, so I want to try one of these savory rhubarb sauce recipes. Or how about a Rhubarb Barbecue Sauce for Pork Chops from Dish N the Kitchen? Add the rhubarb, water and sugar to a saucepan. Heat over medium heat until boiled. Let simmer for 5 minutes or until the rhubarb is tender and broken down. Remove from the heat and stir in the package of strawberry jello. Let cool. Store in the refrigerator. 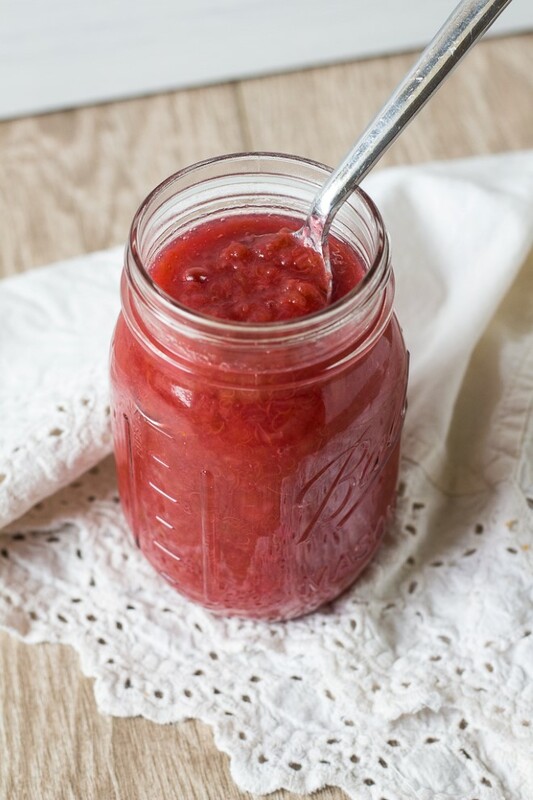 Rhubarb Sauce is good served over ice cream or pound cake, or eaten alone, like applesauce. To use frozen rhubarb: thaw the rhubarb first and let any excess liquid drain off. 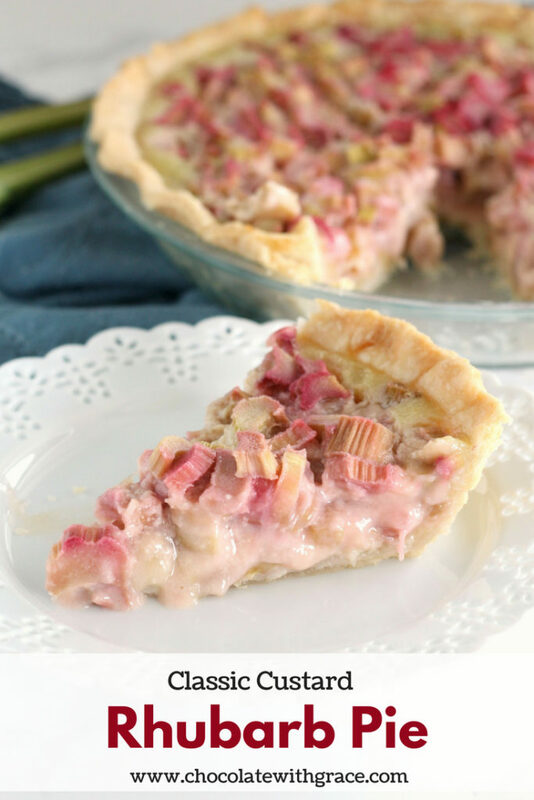 Don’t squeeze any liquid out, just drain what naturally thaws out of the rhubarb. Love this idea! 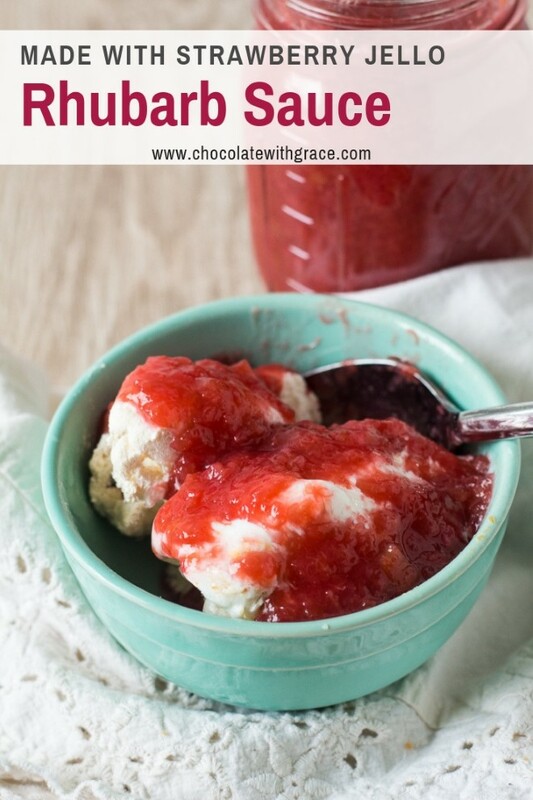 Perfect sauce for summer desserts! This is a great sauce! Perfect for summer time. I have rhubarb in my garden and made this sauce. Turned out perfect! I would have never thought to have added jello! Love to put this on top of my New York cheesecake! Oh! Yes! Please! I could just eat this by the spoonful.